For several years now, the participants in the North Riverside Village Board meetings witness occasional concerns about the number of local venues which have been providing video gambling services. The concerns are usually related to the number of gambling parlors which operate as stand-alone establishments, with opponents suggesting that enough is enough and their number must be limited. These calls finally found an answer, as the trustees of North Riverside decided to limit the number of gambling outlets to 10. The decision was made with 5 to 0 votes. Mayor Hubert Hermanek Jr commented on the decision, saying that in his opinion 10 gambling parlors are quite reasonable for a village of this scale. Currently, there are eight gambling establishments in the village, with four of them situated west of First Avenue, on Cermak Road. Apart from that, the area also hosts two restaurants and bars which offer gambling options. There are also two more specific gambling venues, the first one of which is situated inside a gas station mini-mart and the other one hosted by a liquor store. 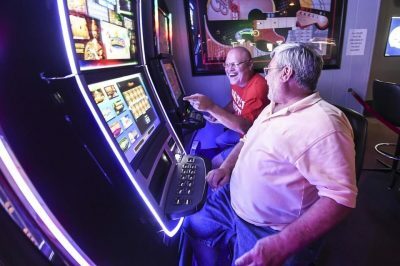 Mayor Hermanek explained that parties are regularly reaching him to seek further information about the possible opening of North Riverside-located video gambling businesses. He explained that there is still no over-saturation of gambling operations in the area, but there should be some limits on such businesses’ presence. Video gambling operations have become a revenue source of greater significance since the first establishments started offering the terminals in 2013. The share of state’s taxes generated video gambling services last year amounted to $250,215, with the figure representing a 26% increase over the previous year’s result, and a 119% increase in comparison to the result generated in 2015. 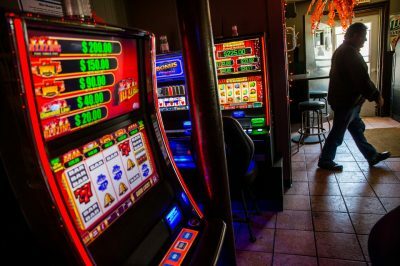 Apart from getting a portion of state’s video gambling tax revenue, North Riverside charges standalone gambling parlors with a significantly larger liquor license fee than the one imposed on regular bars and restaurants which offer video gambling services. Bar and restaurant establishments which provide their customers with video gambling as part of their offerings, pay a little over $3,000 for a liquor license on an annual basis. Freestanding video gambling businesses are currently charged from $13,000 to $15,000 for a liquor license annually depending on the type of alcohol offered. Reportedly, the overall amount which is collected from gambling parlor liquor licenses worth more than $100,000 on an annual basis. The highest license fees are normally paid by corporations-owned gambling parlors without question. However, as revealed by Mayor Hermanek, a number of smaller companies asked whether another increase in the license fees could be expected in 2020. North Riverside’s Mayor further confirmed that no applications have been filed to village officials for the time being but also shared that according to rumors, the Cardinal Liquors’ owner is considering to reduce the size of its retail business in order to establish a gambling café next to it.